The Federal Reserve Chairman speech made USD weak against GBP. Surprisingly, Brexit could not devalue GBP and instead this asset is growing. Then price correction from the previous low at 1.3839 is almost done and the pair is trying to reach higher levels above the monthly pivot point at 1.4139 which is close to the Fibonacci retracement at 38.2%. Moreover the EMA 10 is currently above the EMA 50. 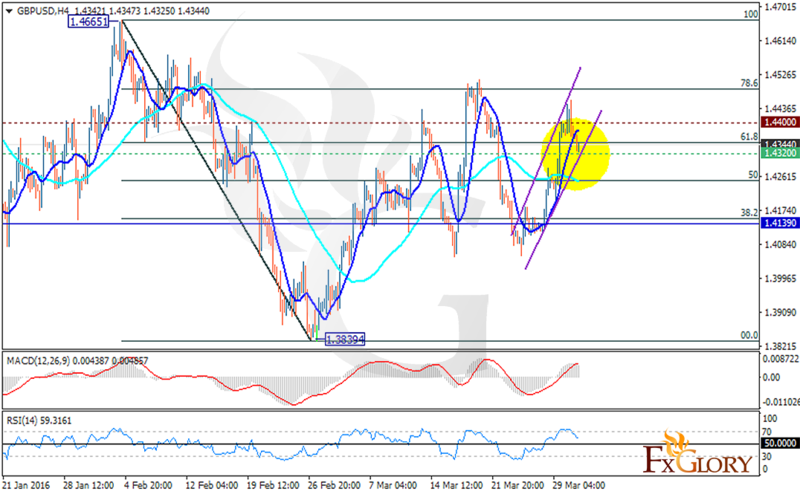 The support is seen at 1.4320 with resistance at 1.4400. The MACD indicator is in positive territory confirming the price growth along with the RSI above 50. The price will probably break the resistance level at 0.4400 and target 1.4480 later.